Allahumma salli ‘ala Sayyidina wa Mawlana Muhammadin wa ‘ala alihi wa sahbihi wa barik wa sallim. And my fealty to him has no beginning. Of his good pleasure among the novices. And sing his praises among the poets. Yea, I would sacrifice my soul for the dust of his sanctuary. His favor should be that he accept my sacrifice. While they all need him without exception. To him, and from him to everything else. A du’a from the Dala’il al Khayrat: Peace be upon you, O Messenger of Allah. Peace be upon you, O beloved of Allah. 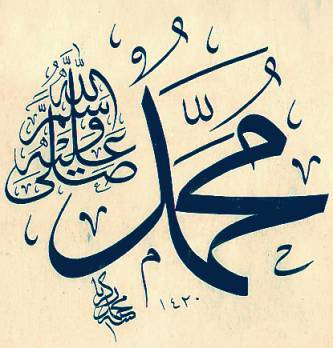 Peace be upon you, O our master Muhammad ibn ‘Abdullah. Peace be upon you and your pure, good family. Peace be upon you and your wives, the Mothers of the Believers. Peace be upon you and all your Companions. Peace be upon us and on the righteous slaves of Allah. So, I ask Allah to make my love for His Beloved, a love that is a true love, a sincere love, an everlasting love, an uplifting love, a living love, a love beyond love. Amin!